Since opening in April 2012, Ziggy’s World Club has gained its reputation as one of the most cutting edge jazz clubs in London. 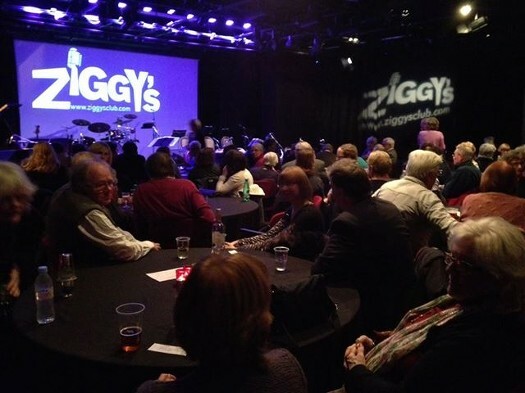 Ziggy’s Club nights happen at the Dugdale Center and Millfield Theatre. Showcasing some of the finest jazz and world music artists in the UK , internationally and as well as some of London’s most established and emerging talent. Ziggy’s has played host to well names in jazz such as Steve Taylor Big Band, Ian Shaw, Soul legent Mica Paris, Joe Stilgoe, Sarah Gillespie, National Youth Orchestra and lots more. Ziggy’s World Jazz Club is also in collaboration with EFG London Jazz Festival as a venue and serious production partner.